This past Saturday was the September edition of our increasingly popular Saturday Social events. 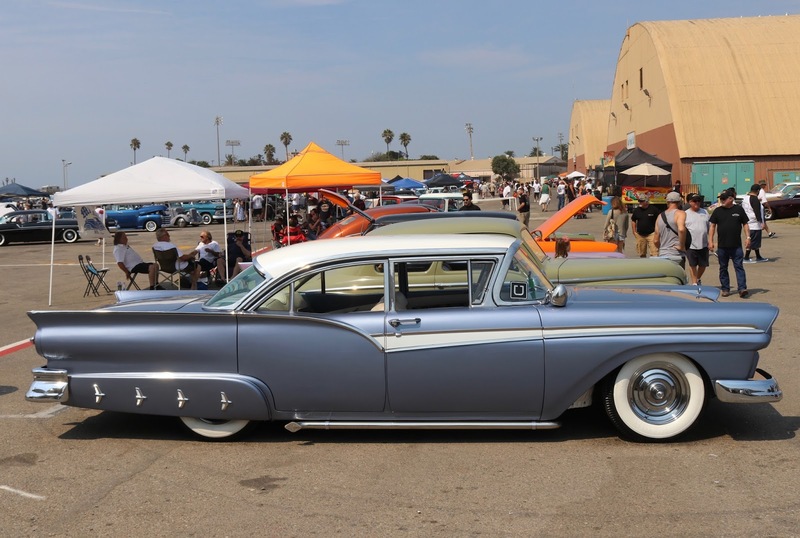 Our take on the Cars and Coffee morning car shows attracts a number of hot rods, cool customs and classics to California Car Cover. Local customers and friends cruise over to CCC from 8am-11am on select Saturdays. The events are free to attend and open to all makes of custom cars. We host the coffee and donuts and our customers bring out the eye candy. Each event features a prize raffle with proceeds benefiting a local charity. Each Saturday Social, our showroom associate, Brandon, picks a favorite car from the crowd. Dubbed "Slick's Pick, the lucky winner takes home one of our Golden Shine Quick Shine combo packs. Saturday's winner was this clean, original 1962 Ford Thunderbird. Thank you to everyone who cruised over this past weekend. We look forward to seeing everyone at our last Saturday Social of the season on Saturday, October 7th. It is also the same day as our annual Parking Lot Sale and Swap Meet so it should be a fun morning at California Car Cover. 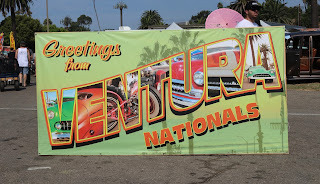 Before heading to the beach on Labor Day we always spend Saturday morning up in Ventura for the annual Ventura Nationals car show. The car show has become a weekend event including a Friday night cruise and art show, plus Sunday reliability run and BBQ. 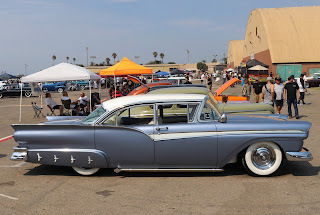 We always look forward to cruising up the 101 on Saturday morning to check out some killer customs and hot rods. A big draw for the past few years has been the Lost Angels Children's Project giveaway car. 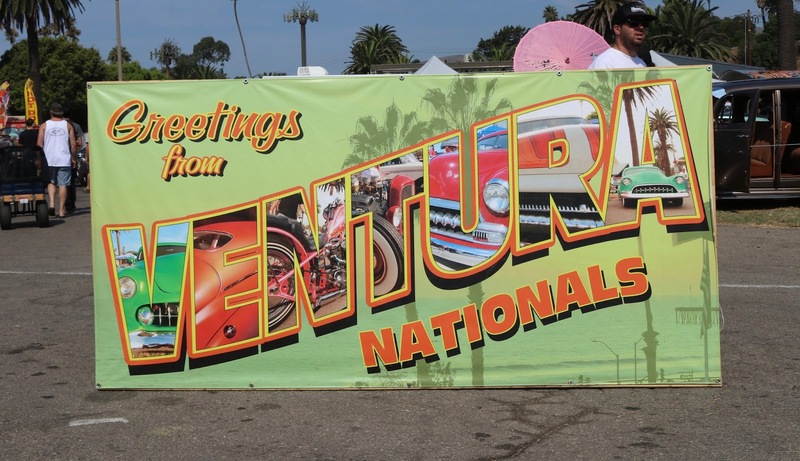 Each year, the Ventura Nationals promotes a custom car build and raffle to benefit the Lost Angels. The charity promotes art and automobile restoration to at-risk teens. This year's custom car was this Chevy Apache pickup that someone drove home on Saturday night. Not sure custom cars filled the fairgrounds. Plenty of custom built motorcycles were on display too. A few of the past Lost Angels builds on display at the Ventura Nationals. Thank you to everyone at the Ventura Nationals for hosting another fun event. We look forward to what's in store for 2018. Check back with California Car Cover in the coming weeks for more events this fall.